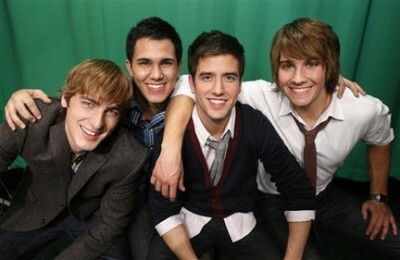 Nickelodeon has ordered a fourth season of their popular sitcom Big Time Rush. Not only does the show attract a lot of young viewers but the musical group Big Time Rush is a hit with its music tour and on the music charts. The cable channel has ordered 13 new installments. They’ll go into production early next year. Nickelodeon, now in its 33rd year, is the number-one entertainment brand for kids. It has built a diverse, global business by putting kids first in everything it does. The company includes television programming and production in the United States and around the world, plus consumer products, online, recreation, books, and feature films. Nickelodeon’s U.S. television network is seen in more than 100 million households and has been the number-one-rated basic cable network for 17 consecutive years. Nickelodeon and all related titles, characters and logos are trademarks of Viacom Inc. (NASDAQ: VIA, VIA.B). What do you think? Are you a fan of Big Time Rush? Are you looking forward to season four? I sure wish I had season two on dvd, why hasn’t Nick released Season two of Big Time Rush on dvd? it shomatuld be on dvd. any way BTR Is great. its like there a newer version of The Back Street Boys. there also vey cute and mature for there age, so although they play teens on Nick in reality the guys are all in there twenties, early twenties that is.